What Is FaceTite™? | Thomas Taylor, M.D. Major surgery can be a daunting proposition for some men and women. It is often the invasiveness of surgery or extended recovery period that prevents people from obtaining the refreshed appearance they desire. 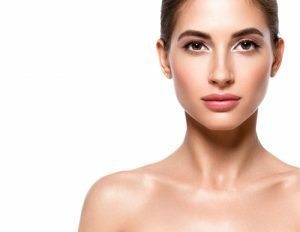 Thanks to technological advancements in cosmetic medicine, there are several options for facial rejuvenation that do not necessitate general anesthesia or significant downtime. FaceTite™ is an innovative, minimally invasive facial rejuvenation treatment that uses radiofrequency and thermal energies to tighten the skin. FaceTite™ utilizes innovative radiofrequency technology to tighten loose skin for a slimmer, smoother facial contour. The device consists of two small probes connected to the FaceTite™ machine. One is inserted through a tiny needle hole under the skin, and the other lies on top of the skin. Both probes are equipped with an electrode at the tip, and radiofrequency energy is emitted through these, heating the top surface and undersurface of the skin simultaneously. When skin is heated to certain temperature thresholds, it will start to shrink, much like bacon shrinking as it cooks. In addition, radiofrequency energy is a powerful stimulator of collagen synthesis. Collagen is a vital component of skin that provides tightness and elasticity. Collagen production occurs over the span of six months to a year, providing long-term skin tightness. FaceTite™ can be used with liposuction if fat needs to be removed or alone if only skin tightening is necessary. Because FaceTite™ involves removing unwanted fat cells rather than just shrinking them, the results of this procedure are long-lasting. The stimulation of collagen production and skin tightening benefits also contribute to the longevity of the effects of the FaceTite™ treatment. Patients can expect their newly contoured appearance to last for up to five years as long as they maintain a healthy and active lifestyle and avoid unprotected sun exposure.